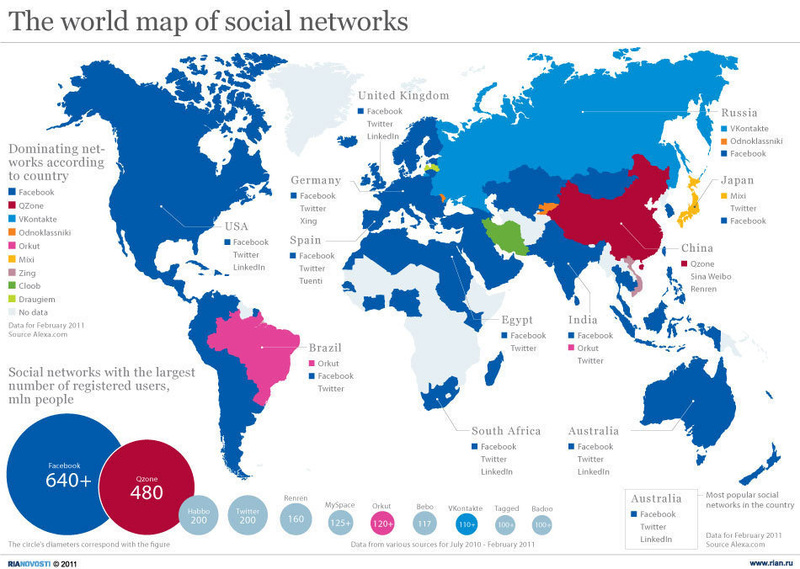 Aside from the obvious dominance of Facebook across the world, this interesting map highlights a competitor to Zuckerberg’s empire which is a relative unknown to the West. Qzone is owned by Tencent, an internet giant which offers a host of services such as instant messaging, email etc. This entry was posted in Infographics, Technology. Bookmark the permalink.